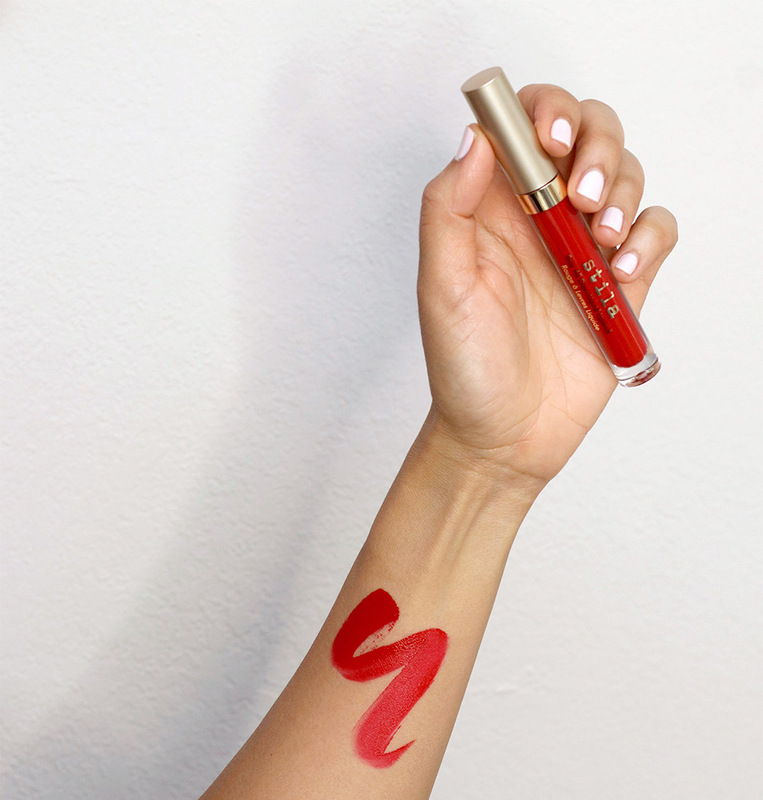 Most liquid lipsticks vacuum every last molecule of moisture outta your lips, but this one is downright comfortable. I wore it all day long yesterday and there was absolutely no sign of flakes on my kisser at the end of the day. 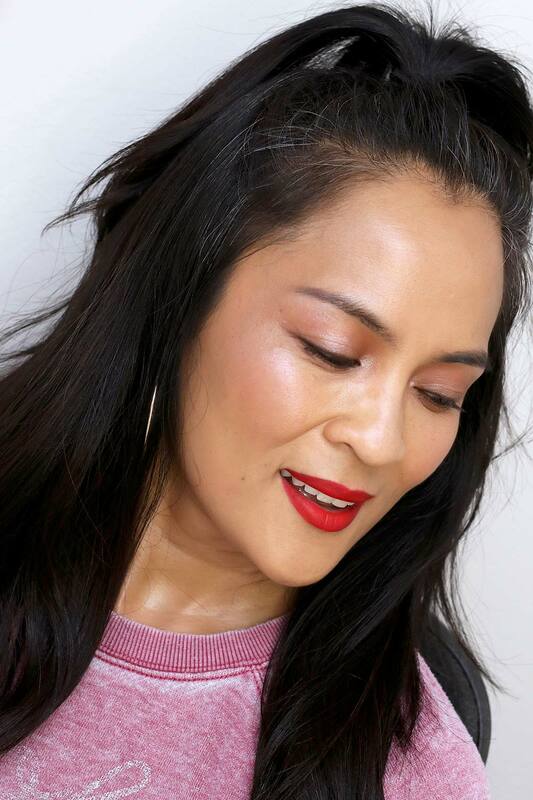 The creamy feather-light formula is thinner than Maybelline Super Stay Ink in Dancer (but not as light as the NARS Powermattes), and I can barely feel it at all. Have you ever worn the MAC Retro Mattes? If so, do you like them? If you do, you’ll probably dig Stila Beso. It’s unflavored, although there is a slight floral fragrance, which dissipates quickly. The precise doe-foot applicator means you won’t need lip liner. I get about six hours of wear time. It doesn’t settle into my lip lines, yay! The short take? Beso is so fabulous that I could 💋 kiss it! 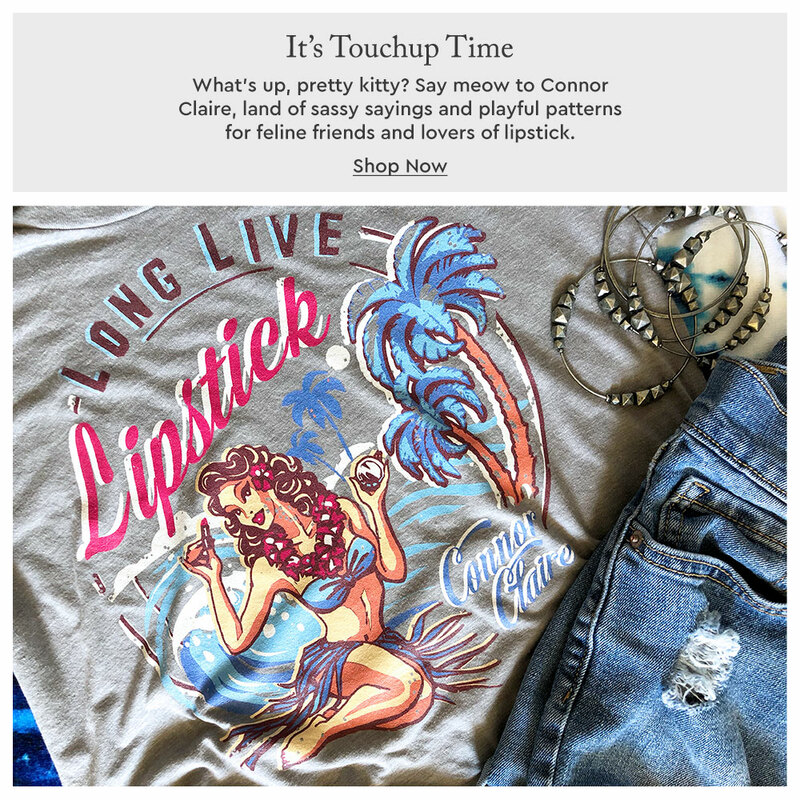 Smooch it at Sephora, Ulta or online. Next Post: Fresh Friday: Hungry for Color? This Indie Makeup Line Names Palettes After Tasty Treats! I have heard a lot of recommendations for this lipstick in this particular color and I can see why, it looks great on you! Thanks, Rachel! This is a great color. Vibrant and comfy! That left over bottom lip line is so annoying! The gold hoops are ancient; I got them from Macy’s years ago on sale. The sweatshirt is by Honolua Surf Co. and while they don’t have this exact sweatshirt online, here’s something similar with a hood. How would you compare these to the Smashbox liquid lipsticks? The Smashbox formula is one of my favorites, but I feel like the Stila line has better shade options. 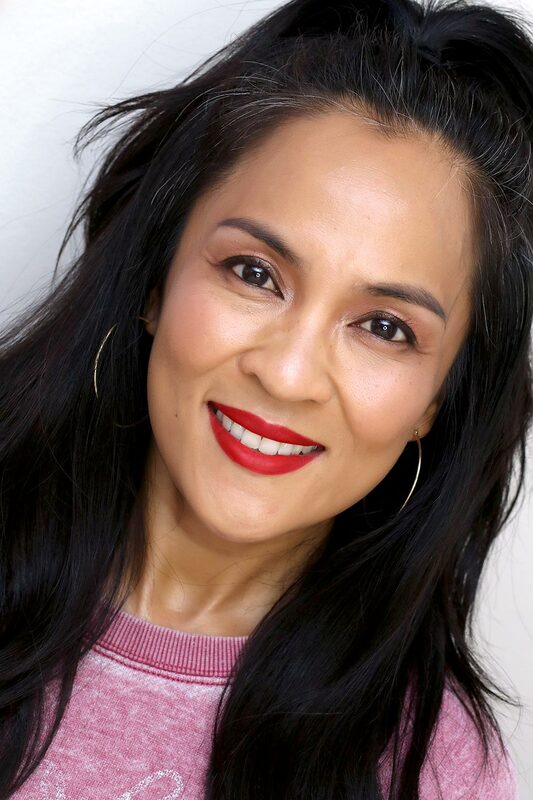 I remember reading a while ago that you felt a little unsure about growing out your greys… but on that last picture, I think the grey hairs add a STUNNING contrast to the red lip and you look fabulous! This is the awesome red lippie Alexandria Ocasio-Cortez wears! Definitely an endorsement. YAY my favorite red lipstick series is back! Love bright red! I tried a Stila liquid lipstick when they first came out and while I didn’t have a problem with the formula, the smell/taste was awful for me. Maybe they’ve changed it since then? The vivid red colour is so stunning on you! I had a quick look at the Stay All Day ingredients and I’ve got to say I’m impressed! I love that there’s no ricinoleic acid included in the ingredients (it’s a well known allergen). Laura recently posted … Review: 1″ Ceramic GVP Flat Iron – Inexpensive Dupe For CHI? Your grays look wonderful! I stopped dyeing my brown/black hair last year too and have been pleasantly surprised by the results. I love my grays, and I love the freedom of not worrying about covering them up – very liberating. And love that we’re not exposing ourselves to more chemicals than needed. This Stila Beso looks amazing on you!